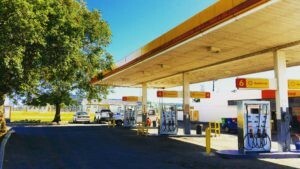 Ehad had the privilege of supplying six hose fuel dispensers at a Shell petroleum site in Dimbaza. The shell garage was upgraded in 2015 and undergoing further construction. The site development with new Ehad fuel dispensers has drastically changed the image of the Shell garage. The new six hose fuel dispensers reformed the appeal of the Shell site, thus increasing the volumes of this site. Ehad fuel dispensers stand out with their impressive appearance and bright displays. All Ehad fuel dispensers are in white or stainless steel, making branding easy for all clients. We are proud to present our clients with quality and quick service.